According to Brian Stiller, Global Ambassador of the World Evangelical Alliance, Pope Francis purportedly made this declaration during a recent luncheon with various evangelical leaders. As the quote comes to us secondhand, prudence requires we reserve judgment for now on the veracity of the comment. However, no one can dispute that many in the post-conciliar Church agree with the sentiment. Indeed, what we have seen in recent decades is a concerted effort within the Church to avoid true evangelization. Gone is the sense of mission and the urgent necessity to bring others into full communion with the Catholic Church. Instead, the Great Commission has been replaced with a modern, false, ecumenism which sees dialogue and joint declarations as sufficient in themselves. This, however, is a betrayal of the Church’s tradition and evangelizing mission. The belief that others will know or “find Jesus in their own community” and therefore do not require conversion de-emphasizes the necessity of the sacraments, particularly the Blessed Sacrament. An ecumenism that does not seek as it’s clear objective full communion with the Catholic Church by it’s very nature diminishes the centrality of the Eucharist to our faith. Some contend that our only obligation to non-Catholic Christians is to provide them with a “Catholic witness” through our actions, leaving the work of conversion to the Holy Spirit. This of course ignores our obligation to cooperate with the Holy Spirit and to help “renew the face of the earth” through our missionary zeal and sharing of the truth. Wherefore, let all those who do not hold to the unity and truth of the Catholic Church avail themselves of the opportunity of this (First Vatican) Council, whereby the Catholic Church, of which their forefathers were members, displays a fresh proof of her perfect unity and her unconquerable vitality; and let them, in obedience to the longings of their own hearts, be in haste to rescue themselves from a state in which they cannot be assured of their own salvation. And let them not cease to offer most fervent prayers to the God of Mercy, that he may break down the wall of separation, that he may scatter the mists of error, and that he may lead them back to the bosom of Holy Mother Church, where their fathers found the wholesome pastures of life, and in which alone the doctrine of Jesus Christ is preserved and handed down entire, and the mysteries of heavenly grace dispensed. It is therefore by force of the right of Our supreme Apostolic ministry, entrusted to us by the same Christ the Lord, which, having to carry out with (supreme) participation all the duties of the good Shepherd and to follow and embrace with paternal love all the men of the world, we send this Letter of Ours to all the Christians from whom We are separated, with which we exhort them warmly and beseech them with insistence to hasten to return to the one fold of Christ; we desire in fact from the depths of the heart their salvation in Christ Jesus, and we fear having to render an account one day to Him, Our Judge, if, through some possibility, we have not pointed out and prepared the way for them to attain eternal salvation. In all Our prayers and supplications, with thankfulness, day and night we never omit to ask for them, with humble insistence, from the eternal Shepherd of souls the abundance of goods and heavenly graces. And since, if also, we fulfill in the earth the office of vicar, with all our heart we await with open arms the return of the wayward sons to the Catholic Church, in order to receive them with infinite fondness into the house of the Heavenly Father and to enrich them with its inexhaustible treasures. By our greatest wish for the return to the truth and the communion with the Catholic Church, upon which depends not only the salvation of all of them, but above all also of the whole Christian society: the entire world in fact cannot enjoy true peace if it is not of one fold and one shepherd. May each of us continue to work and pray for true unity and full communion among all Christians, while strongly rejecting the error of false ecumenism. 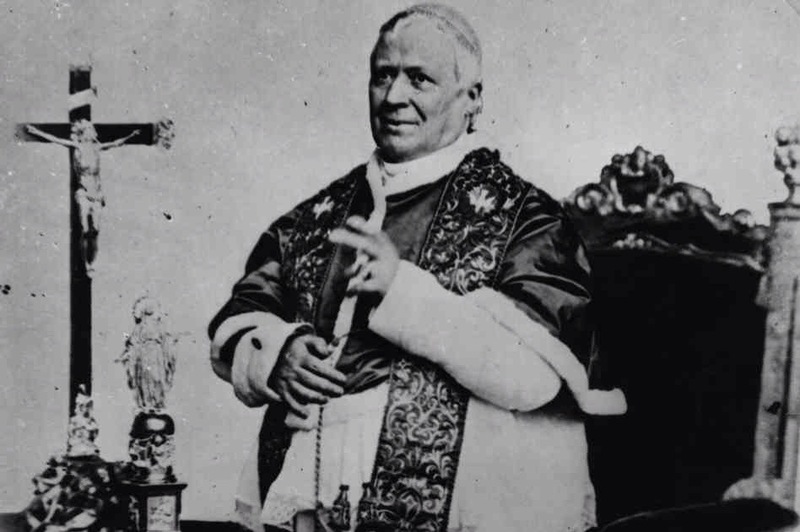 Blessed Pius IX, pray for us! Posted on July 12, 2014, in holiness, life and tagged brian stiller, christian unity, ecumenism, evangelization, false ecumenism, iam vos omnes, pope francis, pope pius ix. Bookmark the permalink. 3 Comments. Thank you! I always appreciate your kind words. Through the Pope’s non ambiguous words, (“I am not interested in converting…”) the Church has given up with the evangelisation of the pagans and with the missionary spirit. Then, what is more apalling, though he asked the portuguese bishops to consecrate his pontificate to Our Lady of Fatima, a thing which filled me with hope, his words mean that the Pope isn’t interested in converting Russia (and the orthodoxs) either. So we are warned: The Pope Francis will NOT be the pope of the Consecration of Russia to the Immaculate Heart of Mary. Since the dead line, in my opinion, for the Consecration to be performed is 2017, we have much to worry.